Dining in Limousin can be an adventure by itself. The French really know what they are doing when it comes to serving meals. Every dish served in Limousin is a testament to centuries worth of love for food and tradition. It is made of high-quality produce that comes from the land. Over the years, they have developed their own unique flavours and the original recipes had been passed on from one generation to the other. The dining experience in Limousin, France is a testament to the lifestyle, traditions, and culture of the people living in it. The food uses typical produce from the land. Farmers use traditional farming methods and this makes the product of the land organic and healthy. The meat used are usually lamb, beef, and pork. 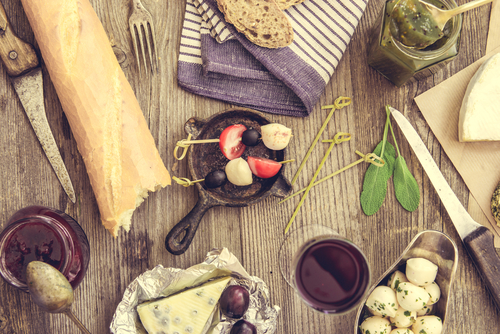 Dining in Limousin is great because it allows you to experience the authentic French cuisine. The dishes are actually quite simple. The meat that is used in every dish is highlighted in a very special way and is one of the best French meat that you will find in the country. Apples and chestnuts are also a part of the traditional dishes being served in this region. Although some outsiders view the food in Limousin as dull and austere, you have to consider it as a matter of personal preference. Some love it while others do not. You need to try it for yourself to determine if dining in Limousin is a favourite or not. When you decide to experience the cuisine in Limousin, here are some of the restaurants that you may want to visit. This restaurant is located in a medieval timbered building. It is one of the best restaurants in the area. They serve the best foie gras and buttered lobster. They also serve scallops in truffles and even pigeon. The wine cellar is also filled with the best bottles that can complement every meal. If you want to experience how the locals eat, you need to go to this restaurant. It is located in the Limoges’ Halles marketplace. You will be seated on wooden tables where you can interact with the locals and fellow diners. This is a great find for vegetarians in Limousin. Vegan restaurants, admittedly, are rare in France. But thanks to vegetarian Louise Elsom, there is one more restaurant for vegetarians to choose from. This is located near the Saint-Laurent-sur-Gorre. They serve the best vegan dishes that attract mostly British and Dutch diners – but some locals stumble upon them as well. These are only some of your options when it comes to dining in Limousin. There are other restaurants to choose from and all of them serve special ingredients and dishes that will bring you the best flavours of Limousin.